COURSE DESCRIPTION: You’ve read the intriguing posts, you’ve lingered over the pretty pictures, but how do you start your own travel blog? This five-week workshop will guide students through the key travel blogging skills—writing, photography, focus and community connection. Each week will concentrate on developing one skill with specific exercises so that by the end of the course, students will have created an engaging travel blog. Students will receive personalized instructor feedback and encouragement for their assignments as they advance on their path to creating a travel blog. Reading chapters from the assigned text, A Woman's World: True Life Stories of World Travel by Marybeth Bond as well as award-winning travel blogs will provide inspiration and guide students though developing their own style for their blogs. Exploration of travel blogs and chapters from the text to discover the voice and style for your blog. Assignment: Students will complete a detailed questionnaire about interests, travel experience and personality, and write a blog style response to two chapters from the text. A picture tells a thousand words and can influence how often posts get read. Students will explore more blogs and text chapters to understand the importance of imagery for travel writing. We will also examine blog photography videos and get an overview of blog photo options and copyright laws for using online photos. Assignment: Take photos of your neighborhood and select the one that tells the best story. Write a post to illustrate what the photo represents to you and to potential visitors to your community, for instructor critique. The web is bursting with thousands of travel blogs but how will yours stand out? What will be your focus? What do you want to accomplish with your travel blog? Students will answer these questions and go over popular blog specialties and their requirements, helping students choose a specific niche. Assignment: Read text chapters that connect with different niches (culinary, adventure, culture) and select a niche that feels right. Write a post that demonstrates your particular focus or niche, for instructor critique. Students will develop three introductory blog posts that reflect their travel blog’s voice and niche. We will go over important blog directories and communities and learn how to make connections that will help your travel blog gain followers and comments. Assignment: Students will compose at least three posts for their travel blog as well as a blog title that reflects their niche, for instructor critique. They will sign up their blog for different blog communities and directories and decide on the frequency of their posts (daily, bi-weekly, weekly). Maintaining a travel blog requires consistent posting, marketing and upgrades. We will look at blogging schedules that work for your lifestyle, professional web designs to make sure your blog looks appealing, blog network opportunities for greater visibility, and monetization options. Assignment: Formal launch of travel blogs with student and instructor feedback. Materials needed: A Woman's World: True Life Stories of World Travel by Marybeth Bond is the required text, available on Amazon or various book outlets or the publisher’s website, Travelers' Tales. The instructor will also supply instructional articles and travel blog post examples for students to read. Access to the Internet, a blog that’s been set up but doesn’t have to be published yet, and a camera or phone with good photo taking ability are the requirements. ABOUT THE INSTRUCTOR: Rosalind Cummings-Yeates is a freelance journalist, blogger and arts critic with over 10 years of experience. Her credits include Woman’s Day, Hemispheres, MSN, Salon, Brides, Yoga Journal, Time Out Chicago, Rough Guide to Women Travel and the Chicago Sun Times, among other publications. She has been featured as a guest speaker at the inaugural TBEX conference, (Travel Blog Exchange) and at the annual Blogher blogger conference. Rosalind is a member of the Society of American Travel Writers and the American Society of Journalists and Authors. 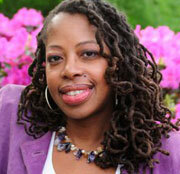 She writes a monthly blues column for the Illinois Entertainer and is a travel blogger for various publications. She teaches journalism courses at Columbia College Chicago and has recently published a book on Chicago blues Travel, Exploring Chicago Blues: Inside The Scene, Past and Present, for The History Press. You can read more of her work on her web site, www.RosalindCummingsYeates.com and on her blog, Farsighted Fly Girl. COST: $150, which includes weekly assignments, detailed handouts, supportive feedback through email, and access to Google hangout sessions with Q&A opportunities. BUY NOW: THE ART OF TRAVELBLOGGING: Gain the Key Skills for a Winning Travel Blog by Rosalind Cummings-Yeates (5 weeks, starting 7/1/2014) Limit: 12 students. Early registration is recommended. Notes: Upon successful completion of payment, your name, email address, and contact info will be submitted to your instructor. She will contact you via email and deliver your self-study program on Friday.